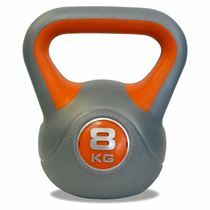 The York 8kg Vinyl Kettlebell is great for developing your functional strength, power, endurance, muscle tone, core stability and balance whilst increasing calorie burn. The total workout tool! for submitting product information about York 8kg Vinyl Kettlebell We aim to answer all questions within 2-3 days. 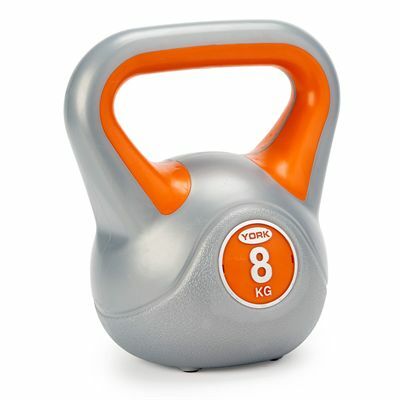 for submitting product information about York 8kg Vinyl Kettlebell . We aim to answer all questions within 2-3 days. If you provided your name and email address, we will email you as soon as the answer is published. Exactly what I was after although slightly bigger than expected. Packaging was adequate & delivery superbly efficient. for submitting product review about York 8kg Vinyl Kettlebell .